Your child stars with Blaze and the Monster Machines and helps save the day! Personalize the main character to look like your child who appears on the front cover and throughout the high-quality illustrations! Personalized LEGO® Book: Where's Name? In this personalized LEGO® search-and-find book, your child becomes completely immersed in LEGO® City. So immersed, in fact, that they’re a bit tricky to find! Can you find your personalized LEGO Minifigure in each scene? Join your favorite nursery rhyme characters in this personalized story featuring your child's name, hometown and the opportunity to add up to three of their friends! 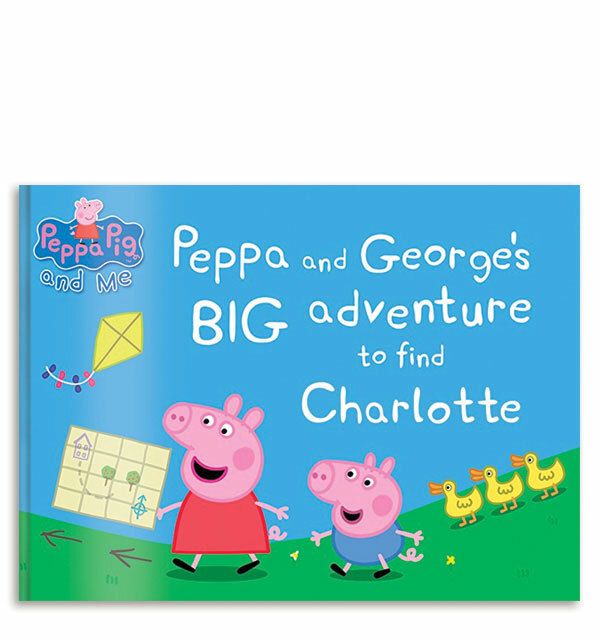 Shop more personalized children's books from Penwizard. Your child enters a magical birthday land to celebrate their special day with enchanting elves, a dragon and charming butterflies. Personalize this story with your child's name, birthday, hometown and include up to three friends in this birthday adventure! Your child visits the local zoo and ends up having a wild adventure with the animals and zookeeper! Customize this story with your child's name, hometown, birthday and include up to three friends in 32 pages of high-quality, vibrant illustrations. Immerse your child in this adventure with Peter Pan and Tinkerbell. Will they defeat Captain Hook? Customize child's name, birthday and include friends in this journey! Your child makes a surprising prehistoric friend and flies back in time to the land of the dinosaurs!